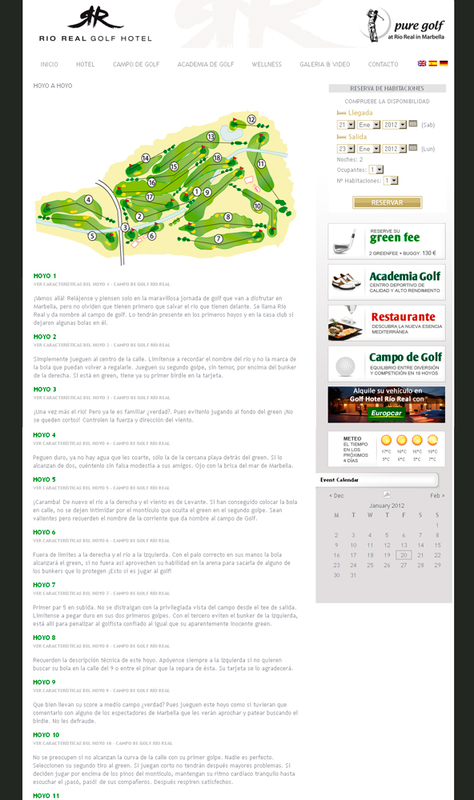 One of our first clients. 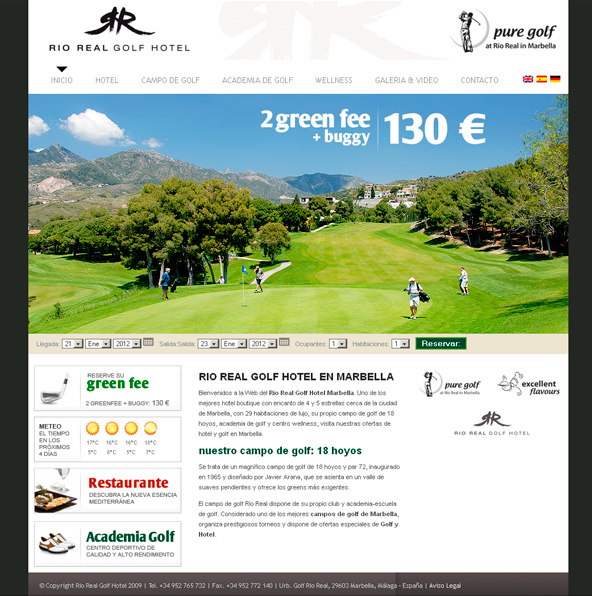 After more than 10 years, remains confident of Image Consulting team to promote their Hotel and Golf Course, as well as the positioning of their website and their brand in Spain and abroad. 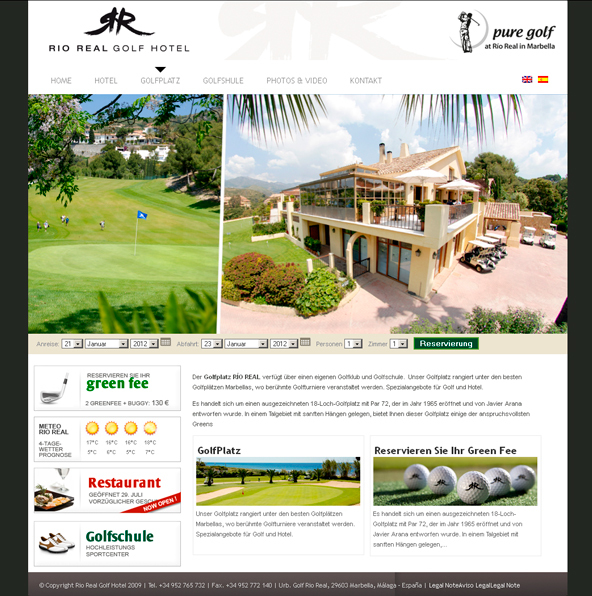 The Río Real Golf Hotel website site has changed over the years, being continuously adapted to the needs of customers, adding new contents and new ways of displaying information.